Anheuser-Busch is the second-most, LGBT-inclusive marketer on the Viacom network's 'Top 25 Trailblazing Companies' report. 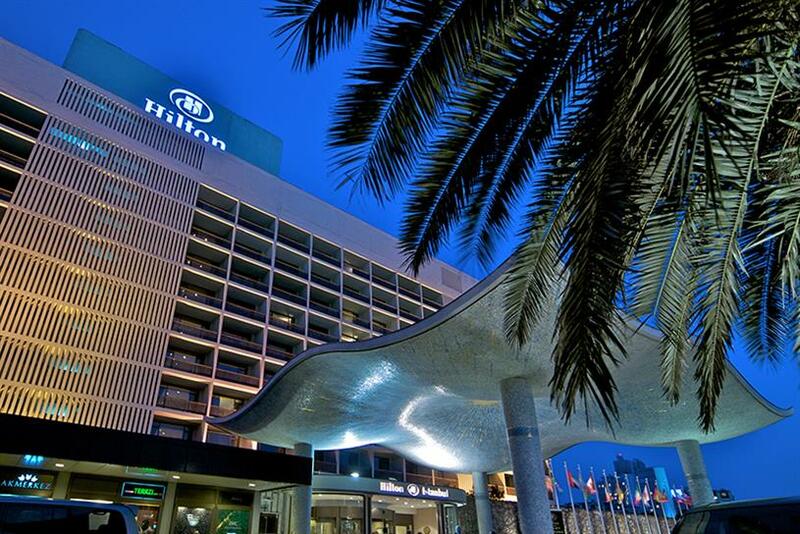 Logo has named Hilton the most "out and proud" brand on its annual list of "Trailblazing Companies" supporting the LGBT community. The hotel and resort chain leads the Viacom entertainment network’s ranking of the top 25 U.S. businesses that have demonstrated a commitment to LGBT-inclusive advertising and communications, followed by Anheuser-Busch at no. 2, and Marriott at no. 3. "Each of these companies is delivering a message of inclusion, diversity and equality that is needed now more than ever," said Pamela Post, Logo’s SVP of Programming, in a press release. Silicon Valley companies like Google (no. 4) and Apple (no. 5) rank high on the list. And Unilever, Target, American Express, Macy’s and Campbell’s round out the top 10. Logo developed the report, now in its second year, in partnership with Witeck Communications. Only brands with 100 percent scores on the Human Rights Campaign’s 2016 Corporate Equality Index were considered. The businesses were evaluated on seven criteria, including digital video and social media, policy support, spokespeople and C-suite executives, website engagement, support after the 2016 Orlando nightclub shooting, and inclusive advertising, donations and sponsorships. Hilton actively targeted the LGBT community last year, with advertising featuring a gay couple and a microsite titled "Stay Hilton, Go Out" that tailors vacation packages and trip advice to queer travelers. The chain also expanded its digital series "What I Pack" and "Bed Time Stories" to include interviews with openly out celebrities. The company also lobbied for LGBT equality in legislation, including fighting North Carolina’s infamous "Bathroom Bill," and joined the Global Equality Fund, a U.S. State Department initiative that promotes and protects LGBT human rights worldwide. Anheuser-Busch advanced to second place from seventh last year, thanks to its 2016 "Bud Light Party" campaign. During the election year, the beer brand ran a commercial featuring Amy Schumer and Seth Rogen at an LGBT wedding. In the ad, the actors toast the couple, stressing that gay weddings are no different than any other weddings. Another ad in the campaign, "Labels," offered support to the trans and gender non-conforming communities with the comedians declaring, "Beer should have labels, not people!" The brewer also sponsored 40-plus Pride events nationwide. Still, despite the support of the Fortune 500 companies on the list, Logo’s Post said there’s still a lot more work to be done. "While we are incredibly proud to recognize these 25 trailblazing companies who are raising the bar higher than just their bottom line, the ultimate goal is to one day reach a time when a list like this is no longer necessary," she said. YouGov BrandIndex also released its own ranking of brands best perceived by the LGBT community, with Amazon, PBS and Netflix topping the list. Target, Google and Toyota appear on both surveys, but at different positions. Target measures no. 6 on the BrandIndex and no. 7 on Logo’s report. Google comes in at no. 7 on the BrandIndex but at no. 4 on Logo’s list. And Toyota came in at no. 10 on the BrandIndex and at no. 23 in Logo’s assessment. A YouGov BrandIndex spokesman said that Toyota entered its top 10 rankings of LGBT consumers’ best-perceived brands for the first time, advancing from no. 46 the year before, because of its advocacy work against the anti-gay laws in Mississippi. Likewise, Logo cited the automaker’s support of the Human Rights Campaign, The Trevor Project and the National Gay & Lesbian Chamber of Commerce, in addition to an LGBT-tailored print ad campaign for Lexus and the branded series "It Got Better" that showcased interviews with celebrities like Wanda Sykes and Ian McKellen.